A big tidy-up outdoors! Gotta do it now before everything starts growing and the war with weeds and slugs start off. 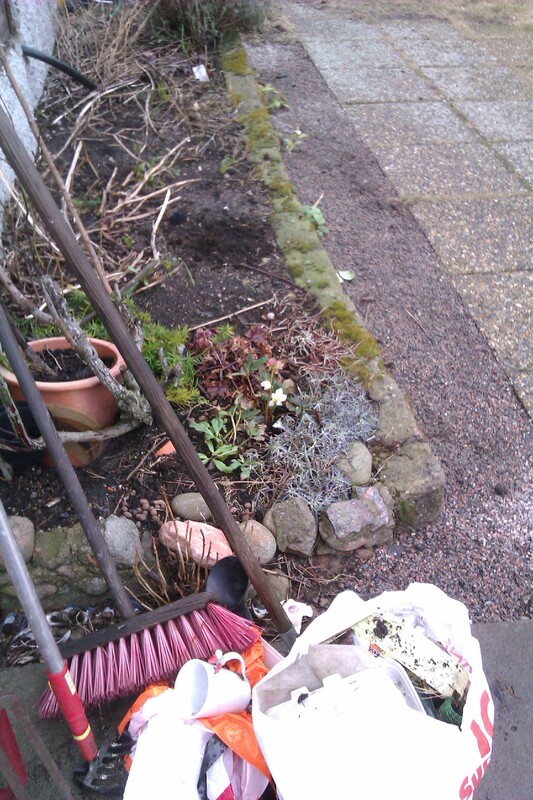 I picked a whole bag full of rubbish that has been blown and thrown into the garden. Started clearing away grass from in-between the flowerbeds and paths and adding new grit. The first year on the island I left everything that grew over the edges for a “rustic” feel. I like when things aren’t perfect, when something sticks out. Of course by the end of the summer it just looked completely overgrown, so this year I’m going for a more controlled chaos. The hens have now taken over half the garden. I’ve put up a short fence to stop them going into the road. In the beginning it wasn’t a problem, every time a car went past they would get scared and run away but now they are too cocky. So now they have the whole backyard to run around in but of course they take every opportunity to find a way out. The grass is always greener on the other side right? 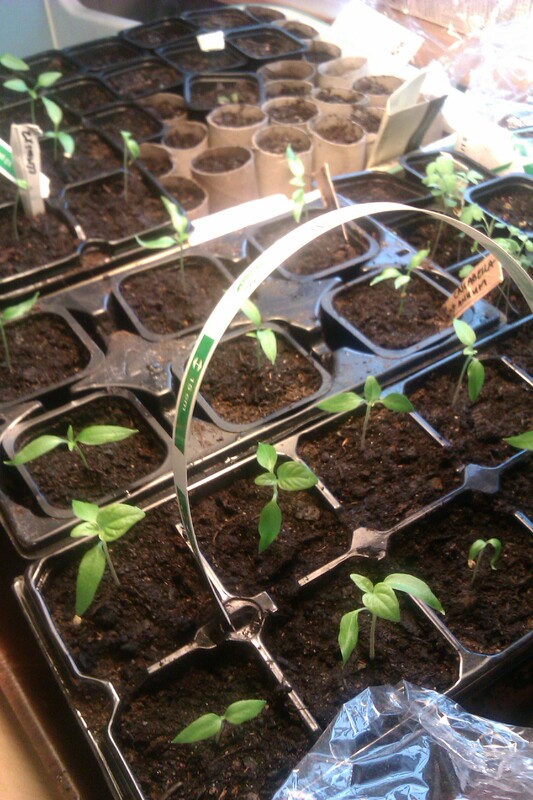 My chillies are coming along nicely! I traded three more varieties from a forum, on of them is Czechoslovakian black. It gives black chillies and purple flowers, looking forward to that one. Today I planted Tigernuts. Apparently it’s a veeery old plant that grow roots that you can roast and eat. Did some googling and sadly found out that it’s apparently one of the most invasive weeds of the world! It doesn’t mention this when you buy the seeds, maybe they don’t survive the Swedish climate? I’m not sure weather to take the risk though, if I keep them, they will have to go in pots and not the flower beds. I’ve also planted peanuts and so far one has come up. All my Geraniums that I’ve kept in the basement over winter have got lice and look terrible so now I’ve sprayed them with soapy water for a week, given them new soil and brought upstairs to wake up. It’s amazing what they survive. When we bought the house my grandmothers geraniums had been left in the basement without water for 6 months and most of them made it. There are still a couple of plants that have been kept alive since my great-grandmother. Aaaaah…woke up to (almost)clear skies and went swimming. 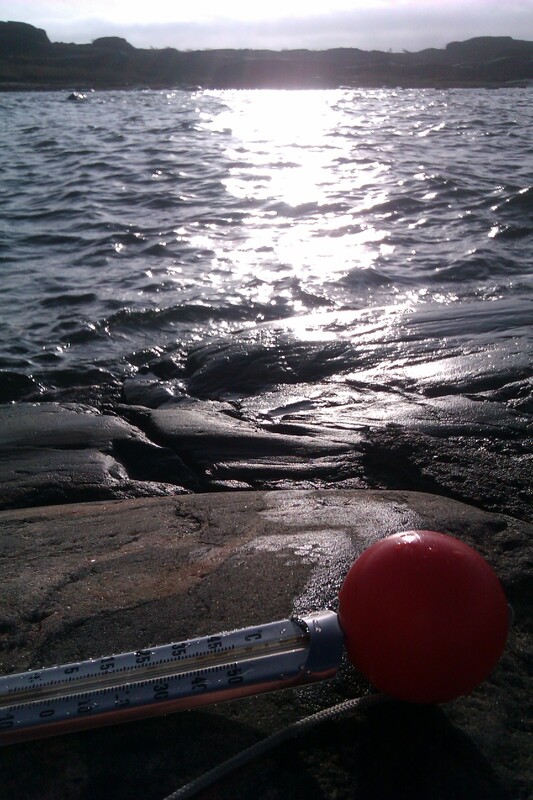 1.5 degrees celsius in the water. Refreshing! 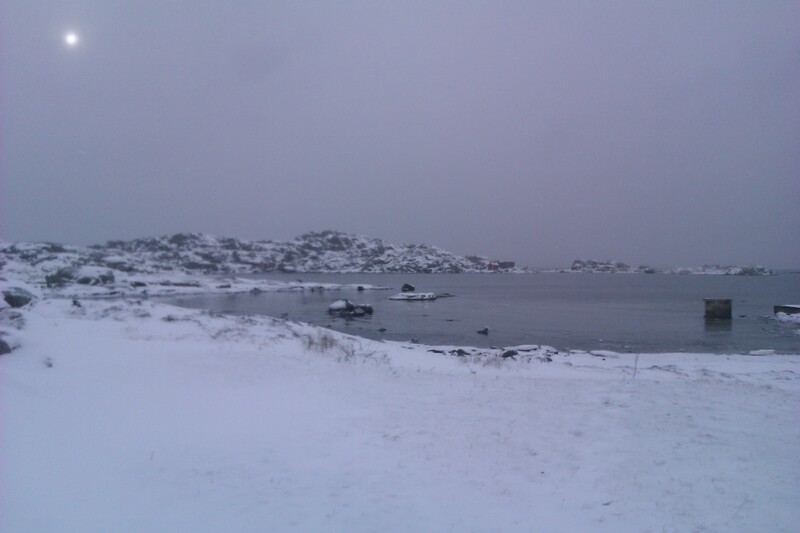 Not all Swedes go winter bathing, most people think I’m crazy and question if it’s not dangerous. I’m sure it’s very good for the body and mind, since I started I’ve been sick less and feel happier and more energetic. It wakes up all the endorphins in the body and you can’t help coming out of the water with a huge smile and a nice chilly tingle in your spine the rest of the day. Although my little toes wouldn’t agree with me, they would rather stay wrapped up in woolly slippers. 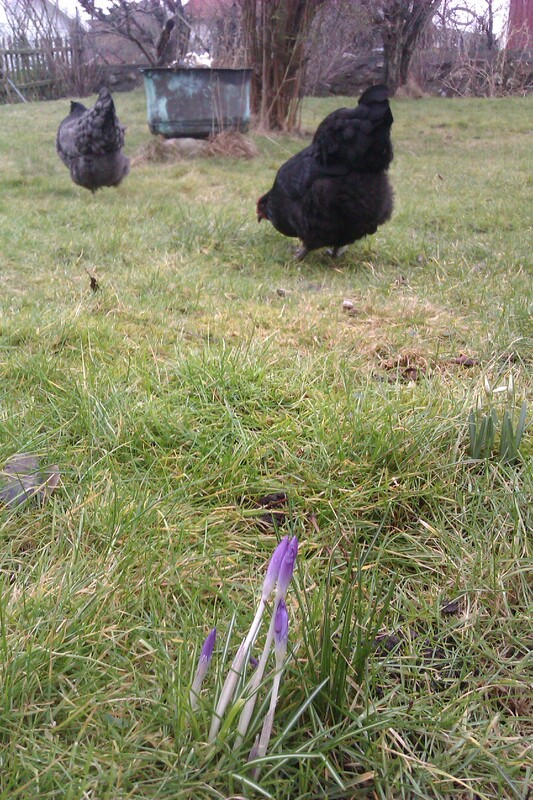 One could almost fool oneself that spring is on it’s way. 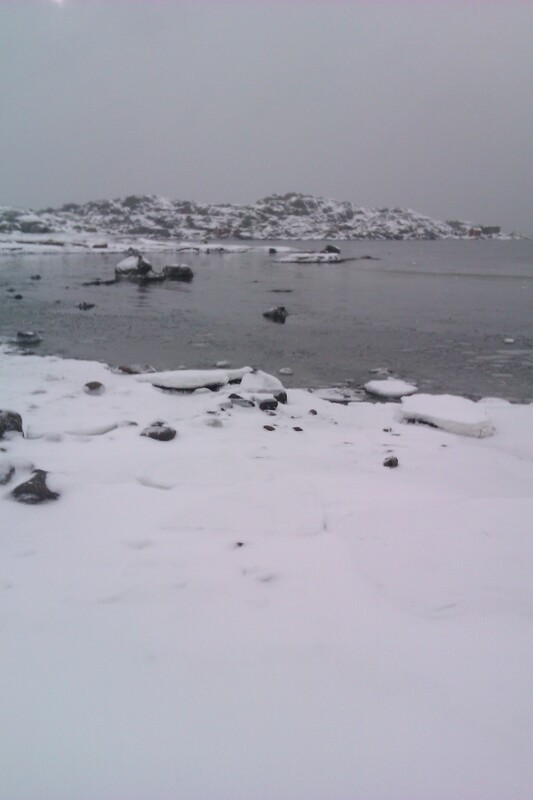 Although one week ago everything was white and I’m sure that as soon as all the spring flowers start popping up and we pack away our gloves and hats winter will come back for a second round. The hens are acting like cows let out to graze after a winter indoors, as soon as the snow melted away they started laying more eggs, now 3-4 each day and hassle me to be let out every time I look their way.